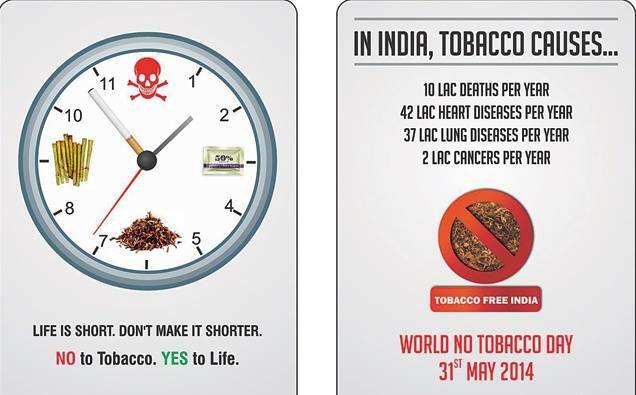 It gives us immense pride to share with you that Rajasthan‬ has won the 2014 ‘World No Tobacco Day’ Award, by WHO, in the South-East Asia Region for imposing highest Value Added Tax (‪#‎VAT‬) on tobacco products in India! In 2010-11, the VAT was 12.5% and in 2013-14, the VAT has shot up to a steep 65%, as a move to discourage smoking. Now we can say that the royal state of regal hospitality is much more clean and healthier for the tourists visiting Rajasthan. 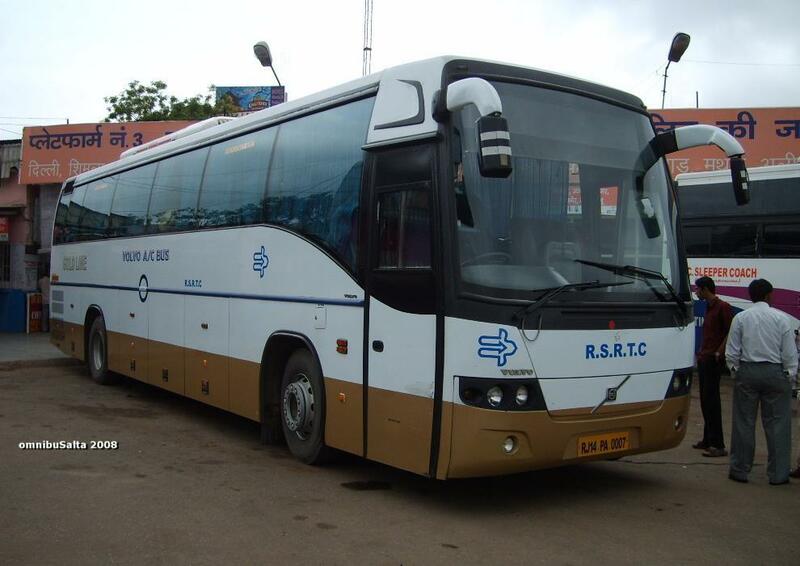 If you planning to travel by Rajasthan roadways all category bus services, then be ready to shell out more as bus fare hike comes into effect from midnight of May 31, 2014. In AC, deluxe and semi-deluxe the rates have been increased up to 14%-16% while in ordinary services the fares have been hiked up by 11%. Under the revised list, travelling on multi-excel (AC) buses will now cost Rs 2 per kilometer to a passenger compared to the earlier Rs 1.75. For luxury (AC) buses, the commuters will have to pay Rs 1.90 per kilometer, following an increase of 25 paisa. In the inter-state bus services (AC) too there is an increase of 25 paisa and passengers will be charged Rs 1.80 per km. Similarly, deluxe buses will now cost Rs 1.27 per km. Last time the rates were revised in September 2012. However, with increase in diesel and operational costs, RSRTC has made these changes. 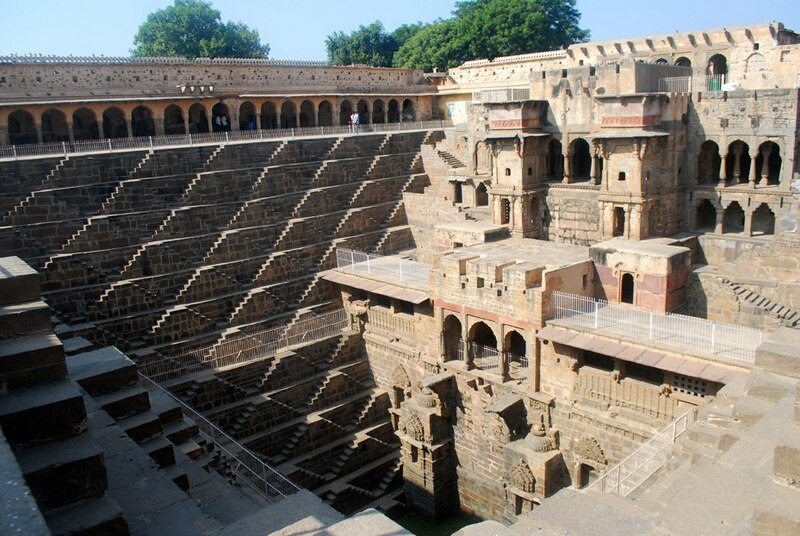 Abhaneri Stepwells: An architectural marvel in Rajasthan! Indian architecture is the cynosure of the world’s eyes that has always presented a colorful mosaic of styles and beauty. One such exclusive architecture is the step wells of Rajasthan, which has been cited as an exquisite example of unparalleled artistic and architectural beauty. 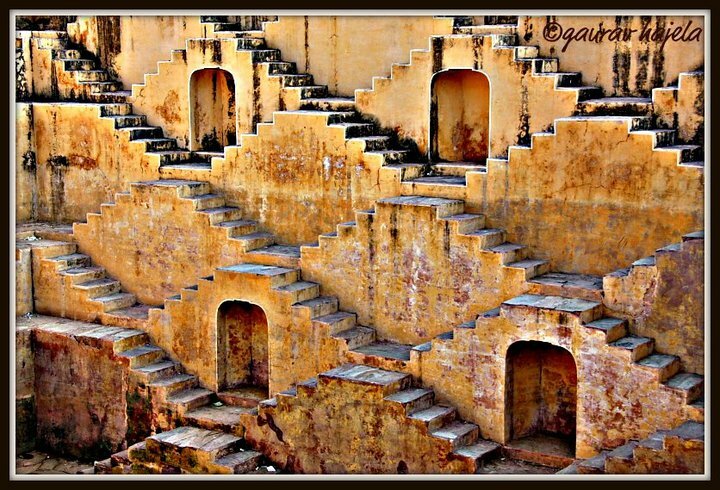 Rajasthan’s most awe-inspiring baoris (step-wells), Chand Baori at Abhaneri, is a unique creation by the natives for harvesting rainwater, situated at a distance of 95 km from Jaipur, on Jaipur-Agra road. 30 meters deep with 13 floors and 3500 steps, Chand Baori is one of India’s deepest and largest step wells. The huge tank with delicate carvings certainly is delightful to eyes. It is one such astonishing view which can never be seen anywhere and is the finest example of geometrical excellence of the bygone era. Interestingly, these big tanks were used as the cool places of resort and water reservoir in parched days. Vacations are here, and the time for school kids to take part in various summer activity classes. 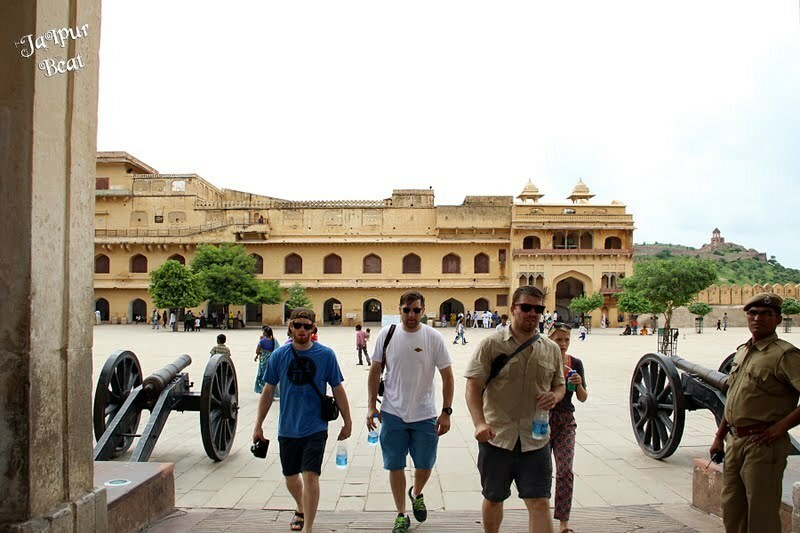 The Annual Summer Training camp organized at the City Palace of Jaipur is very popular among locals and international tourists. This camp is organized to create an awareness among the children towards traditional art and culture of the state. The Annual Summer Training camp is inaugurated by MLA Sawai Madhopur, Princess Diya Kumari on May 19, 2014 at the City Palace. The one-month long camp is jointly organized by Maharaja Sawai Man Singh II Museum, Rangrit Sanstha and Saraswati Kala Kendra, for which there is no participating fee. The camp will be conducted by well known artistes like – traditional painting (from 11 am to 1 pm by Hament Ramdev, Ramu Ramdev and Babulal Marothia), Kathak and folk dance (from 9 am to 11 am by Dr. Jyoti Bharti Goswami), Sitar (from 8 am to 10 am by Pandit Harihar Bhatt), Photography (from 8 am to 10 am by Yogendra Gupta and Purushottam Diwakar), Dhrupad (from 4 pm to 6 pm by Dr. Madhubhatt Tailang) and Pakhawaj (from 4 pm to 6 pm by Pandit Pravin Arya). At the end of the month long training, a cultural programme will be organized at the City Palace- Jaipur where the kids will display a beautiful blend of art they’ve learned during the month long training. Another feather added to the Jaipur’s plush hospitality cap! The Pink City now houses one of the premium hospitality brands for the leisure and business travelers as well as locals. 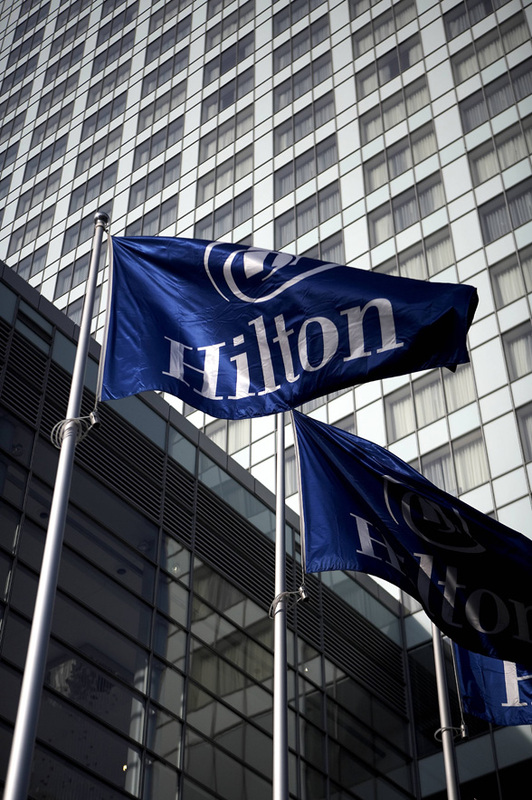 Hilton Worldwide has announced the launch of Hilton Jaipur, an upscale, full-service hotel located in the heart of Jaipur in Rajasthan, one of the most popular tourist destinations in India. The hotel is minutes from famous attractions like the Hawa Mahal, City Palace and Albert Hall Museum and shopping and entertainment hubs including Johari and Bapu Bazaar. Featuring 10,000 square feet of flexible meetings and events space that includes a 21-foot high ballroom and an open-air patio, Hilton Jaipur also provides the ideal setting for exclusive business meetings as well as social gatherings and grand weddings. Hilton Jaipur features rooms and suites that range in size from 360 square feet to 650 square feet, offering large living spaces and the complete range of facilities and services including signature Hilton Serenity Beds, ergonomic work areas and en suite four-fixture baths. Dining options at the hotel are extensive as guests can enjoy a theatrical culinary experience with live cooking stations and a spectacular specialty Tandoor kitchen at Aurum, the stylish gold and copper themed all-day global cuisine restaurant. Guests are also able to relish the best of contemporary Indian cuisine at Chaandi, the exquisite Indian specialty restaurant that features an open kitchen and a choice of stunning al fresco poolside cabana seating in the evenings. Guests can unwind at Krystal, the chic lounge bar, and sample a range of craft beers, flight of spirits, fine wines and innovative cocktails. Recreational opportunities at the hotel encompass an outdoor swimming pool, 24-hour fitness centre and a 2,400-square foot spa that includes three treatment rooms, and steam and sauna facilities. 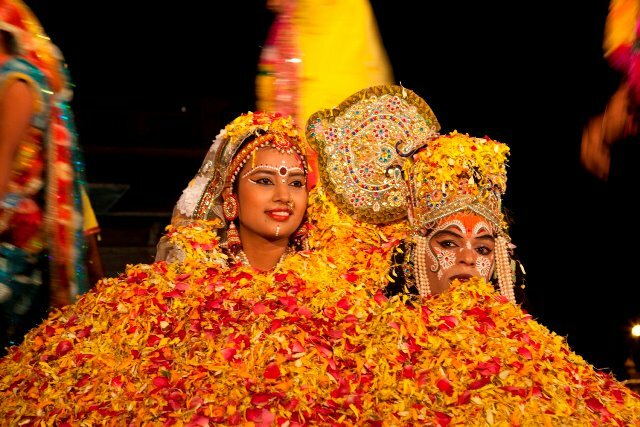 Rajasthan’s popular annual Summer Festival will be celebrated on 13 and 14 May in the state’s only hill station, Mount Abu. It has been organized by the Department of Tourism, Government of Rajasthan, the Municipal Board, Mount Abu and the District Administration. The festival will begin with a ‘Mount Abu Carnival’, which will start in a form of a procession from the Nakki Lake to Polo Ground on 13 May. 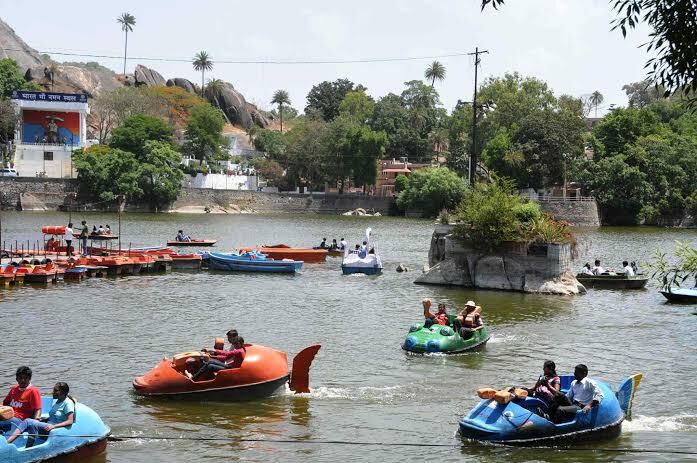 Boat race competition being held at the Nakki Lake in the Summer Festival in Mount Abu. The tourists will also have a whale of a time participating in various day-long competitions and events. On 13 May at the polo ground will be a cricket match, Abu Quit, Matka Race, Matka Phor, Tug of War (women and men), volleyball competition, Band Display, Rangoli Competition and Musical Chair Race. 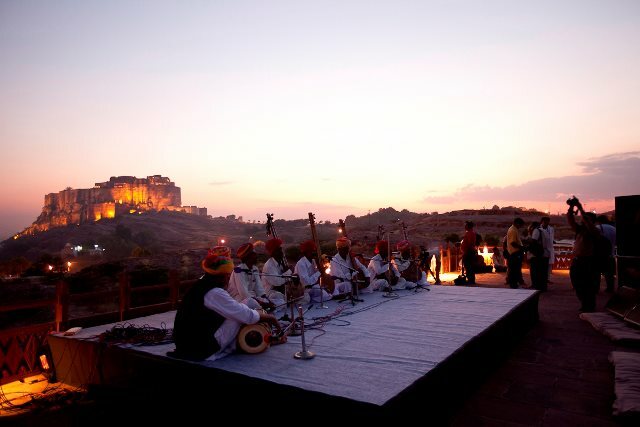 In the evening there will be a cultural extravaganza in form offolk performances by artistes from Rajasthan, Gujarat and North-East at Aravali Rang Manch. 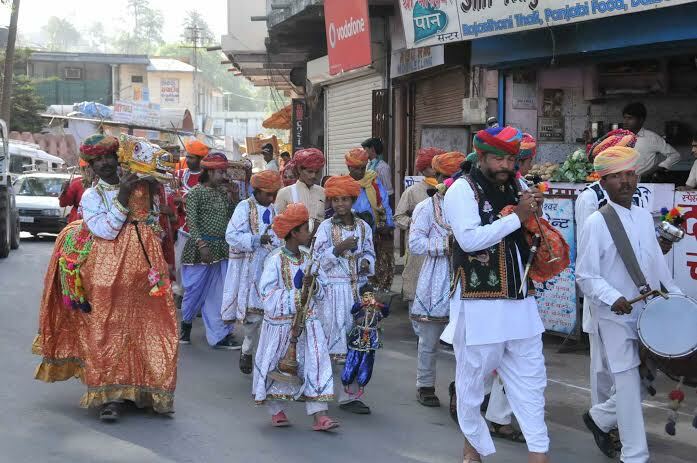 Mount Abu Carnival in progress during the Summer Festival. On 14 May morning, will be trekking and hiking from Nakki lake to Sunset Point. A special attraction of the festival will be the exciting Boat Race at Nakki Lake which will be followed by Treasure Hunt at the Polo Ground. 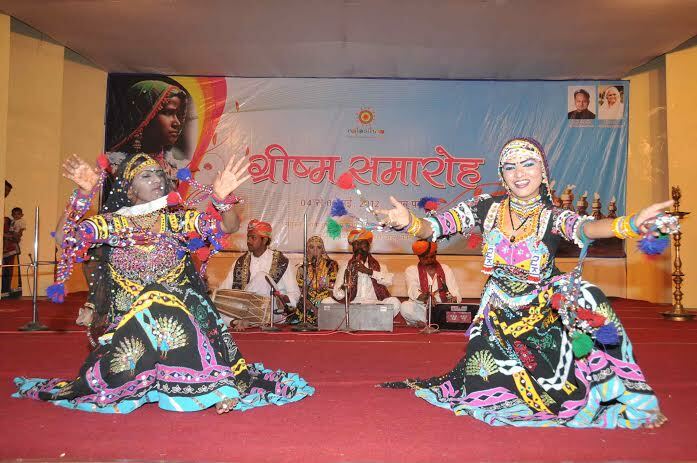 In the evening again the tourists and visitors will enjoy the Kathak and other cultural performances again at Aravali Rang Manch. It is to be recalled that the Summer Festival is held every year during the month of May on Budh Poornima (14 May this year). The festival celebrates the warmth and cheerfulness of the people of this hill station, who welcome the tourists from the depth of their hearts. The hospitality of the people, their colorful culture and exotic locations have made this festival a-never-to-be-forgotten experience. The Sun City Jodhpur is all set to celebrate its 556th Foundation Day, and the entire city is bedecked with colors and events at every nook and corner, especially the heritage and tourist sites. . Apart from the number of programmes that will be conducted in the city on May 11 and 12, there will also be some events to mark the day. Jodhpur is a historic city and it is a big day for all. 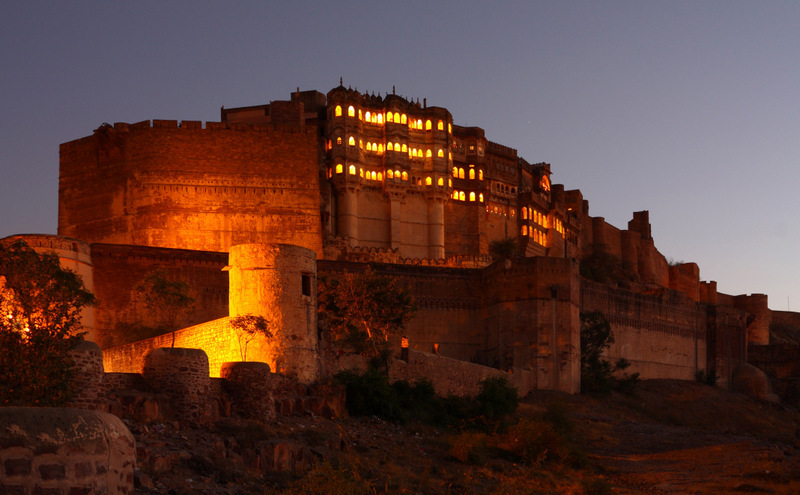 Rich with its traditions and royalty, Jodhpur has marked a unique impression all over the world. The entire celebration would exhibit a beautiful picture of the folklore that could be cherished for long in mind. 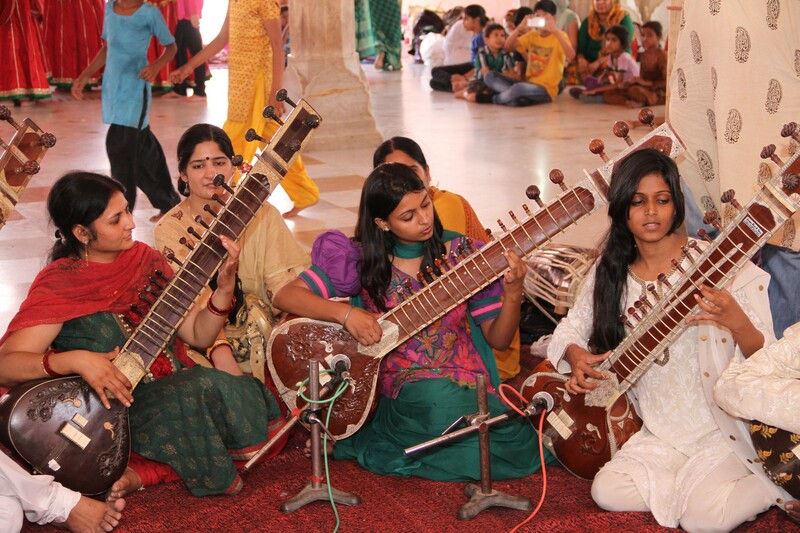 Starting from May 11, 2014, the Jodhpur Foundation Day celebration would offer instrumental and folk dance presentation by traditional artistes at all major city circles on first day of celebration, and the ‘nopat’ (a musical instrument) would be playing on the five main gates of Jodhpur on May 12 morning. On the occasion, most vulnerable place of health hazards, the ‘kachhi-basti’ will have a health check-up camp. If you are in or around the Sun City this weekend, then wait no more, because this event would capture all the colorful essences of Royal Rajasthan. 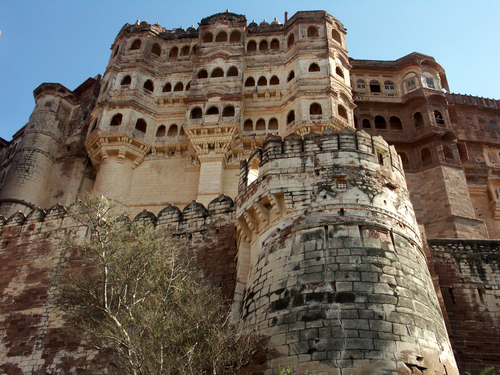 Also make sure to visit the magnanimous Mehrangarh Fort in Jodhpur.